Employer's note: Some remote each week. 6. Mentors new or junior staff members on business knowledge, system peculiarities, and complex technical issues. Experience in WebPack, Grunt, Bower, Yeoman, etc. Experience with front end development tools such as VS code, Webstorm, Eclipse etc. We’re working on “the big picture” of the future of health care information technology, and what we do touches the lives of millions of people. We’re looking for top tech candidates who want to be change-makers, working together to build a new approach to health care. Our highly-motivated Technology & Operational Support (TOS) team, from information security to mobile/web to data informatics, takes on new challenges and drives innovative solutions. At CareFirst BlueCross BlueShield, you’ll have the opportunity to influence the direction of health care. Working here means collaborating across teams, analyzing and solving difficult challenges, and providing secure web and mobile solutions for our customers. Whether you’re interested in architecture, engineering, or application integration, we have a place for passionate IT professionals who want to help others. 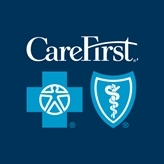 Want to get notified about new jobs at CareFirst BlueCross BlueShield?